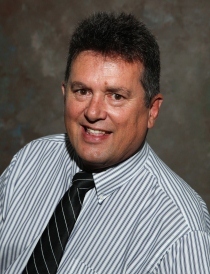 Larry Mann has been a Realtor since 1985 and a Real Estate Broker since 1998. That’s 28-years of valuable real estate experience! He subscribes to and endorses the Real Estate Code of Ethics. He has been honored as a Multi-Million Dollar producer. He earned a B.A. degree in Business Administration (Major) & Finance (Minor) from DePaul University. He learned real estate appraisal from the Society of Real Estate Appraisers and was awarded both the SRA (Senior Residential Appraiser designation) and General Real Estate Appraiser Designations. Larry has first-hand experience selling all value levels of homes, condos, townhouses, golf course properties, retirement homes, horse properties, mountain preserve homes, apartment buildings, commercial, industrial properties and business interests. Larry makes double sure all real estate disclosures, legal documents and appropriate forms have been exchanged. He ensures that all negotiations, the appraisal, inspections, appropriate responses and repairs to be done favor his client. Larry Mann is active in his church. He’s currently the President of the Mesa East Lions. He serves at the Phoenix Rescue Mission, volunteers at Special Olympics competitions and ushers at ASU sporting events. He has served as a Big Brother with Big Brothers/Big Sisters, as a volunteer traffic reporter at KFLR 90.3 radio, YMCA Board Member and President of the Young Single Parent’s Organization.